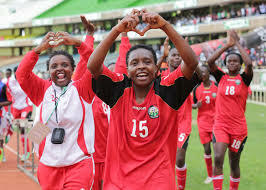 November 15 – Kenya’s Football authorities have provided further explanation as to why they have gone to the Court of Arbitration for Sport (CAS) over the decision to reinstate Equatorial Guinea into the upcoming Women’s Africa Cup of Nations which starts on Saturday. Last month Kenya was awarded a place in the finals, which Ghana is staging, when the Confederation of African Football (CAF) excluded Equatorial Guinea for fielding an ineligible player in qualifying. But the governing body’s appeal board ruled differently, allowing the two-times champions to return to the competition. In the original ruling CAF upheld a protest from Kenya which has responded furiously to the change of heart. As it stands Equatorial Guinea will open their campaign against Zambia on November 18 before facing South Africa and defending champions Nigeria. But Kenya says it still hopes to compete. With just three days to go before the tournament kicks off, Mwendwa is hoping CAF moves swiftly. If the appeals go against Kenya, Mwendwa has confirmed they will seek a financial settlement. “If the court says we’re out – then we have no recourse – but I can tell you we will pursue compensation if that happens.